Winner of the Ellovi Giveaway! Julie will win a jar of body butter and a tube of lip butter, both made with the purest of organic, all-natural, and vegan ingredients from the fabulous cosmetic company Ellovi. Thanks again to all those who participated in the giveaway. Keep your eyes out for another giveaway in the near future. In the meantime, why not take a gander at the recent three-part series highlighting my vegan adventures in Florence, Italy? Farmers Market Vegan’s big ol’ Tofurky giveaway may have ended only last week, but I’m elated to host for you, dear readers, a second giveaway during the month of March. This one comes courtesy of dynamic vegan duo Kelly Winterhalter and Ryan Pamplin, co-founders of the all-natural, animal-friendly, and sustainably sourced cosmetic company known as Ellovi. A couple of weeks ago, Kelly kindly contacted me requesting that I review one of Ellovi’s two products—their six-ingredient body butter—and I have nothing but laudatory words to say about it. A cloud-white blend of oils from macadamia nuts, coconuts, marula, hemp seed, and shea, Ellovi Body Butter contains such pure ingredients that you could slather it on a piece of toast and chomp away. While the butter contains no added fragrance, its delicately nutty aroma will leave you fervently sniffing the jar, your hands, and anything else the butter touches. Not only does the butter serve as a highly effective moisturizer due to its omission of water and therefore its inability to evaporate like other lotions, it also works well as a facial moisturizer, makeup remover, and sunscreen—and it’s perfect for sensitive skin. The first time I dipped my finger into the jar, the rich yet airy texture of the butter duly surprised me, as I had expected a thinner, more fluid substance. Not so—the Ellovi Body Butter proves so thick that you could easily stand a spoon straight up in its jar. Though it did seem like I had to use more of the butter than of a conventional moisturizer to spread on my entire body after a morning shower, I didn’t have to reapply the butter at all throughout the rest of the day. Even after washing my hands, they still felt moisturized by the butter—and this in the dead of winter, mind you! Though the price of the butter does prove a bit steep at $26 per jar, the impeccable quality of its ingredients and its impressive moisturizing abilities merit the expense (at least once in a while). Luckily, one of you, dear readers, will have the ability to revel in the vegan moisturizing goodness of Ellovi Body Butter for free! By entering the giveaway at the links at the top and bottom of this post, one of you will win your very own jar of Ellovi Body Butter plus a tube of Ellovi Lip Butter. Your hands, arms, legs, belly, lips, and everywhere else on your body will thank you for entering. The giveaway will end at 11:59 p.m. on Wednesday, April 2, and I will announce the winner on Thursday, April 3. Apologies to my international readers, but you must reside within the U.S. in order to enter this giveaway. Last October during Vegan Mofo, I introduced you all, dear readers, to the wonders of a homemade facial toner and acne scar remover that consists merely of apple cider vinegar and white tea. Since entering college almost one year ago, I’ve actively strove to reduce the amount of hygiene and skincare products I purchase for a variety of reasons: 1.) To ease the financial strain commonly experienced by college students. 2.) To avoid slathering harmful chemicals all over my face and extremities. 3.) To minimize the risk of accidentally purchasing products that contain animal-tested ingredients. 4.) To feel damn cool and DIY for developing an almost completely homemade skin and hair care regimen. My homemade facial toner & its ridiculously simple ingredients. Shampoo, conditioner, exfoliating cleanser, and facial toner comprise the cosmetic products that I’ve homemade for almost 12 months now. You can read more about the details of the “No-Poo” hair care method, which employs only baking soda and apple cider vinegar in fostering healthy, lustrous hair, at the Nature Moms blog, and can find the “recipe” for homemade facial toner on one of my previous posts. While I now save about $27 on a semi-monthly basis by ceasing to purchase these products, I’m also reducing my carbon footprint by avoiding the chemicals and packaging involved in the production of cosmetics. Not one to embark upon any endeavor halfheartedly, I’m still seeking to further contribute to the health of both my personal finances and the planet by incorporating more homemade hygiene solutions into my daily routine. For example, once I run out of my current stick of deodorant and tube of toothpaste, I fully intend to start homemaking these items as well, following these two sets of instructions. After eschewing these two store-bought hygiene products, I’ll regain another $10 every month or so, and will only need purchase facial cleanser, a couple items of makeup, and hair sculpting paste to fulfill my hair and skincare requirements (if you know of natural methods to replace any of these particular products, please do let me know!). DIY toothpaste from Wild Roots. DIY deodorant from In Sonnet’s Kitchen. Today, I’d like to share with you perhaps the simplest and most economic exfoliating cleanser I’ve ever encountered. Costing less than $0.05 per use and consisting of only one sole ingredient, this exfoliating cleanser effectively dissolves under-skin sebum, clears away debris, and alkalizes the skin. The magic ingredient? Baking soda. 1.) Splash your face with warm water to preliminarily cleanse the skin. 2.) In the palm of your hand, dissolve 1 tbsp baking soda in a couple drops of water (feel free to add a drop or two of your favorite essential oil for fragrance). 3.) Rub the baking soda paste all over your face in small, circular motions for about 2-3 minutes before rinsing the mixture off completely with warm water. 4.) Gently dry your face and follow the exfoliating cleanser immediately with facial toner to close your pores and prevent gunk (a technical esthetic term) from entering them. Method submitted to Waste Not Want Not Wednesdays, Allergy-Free Wednesdays, Healthy Vegan Fridays, and Wellness Weekend. Comment-Provoking Questions: Do you make any of your own cosmetics or skin, hair, and hygiene products? If so, of what ingredients do they consist? This weekend, U.S. VegCorp hosted the third annual New York City Vegetarian Food Festival at the Metropolitan Pavilion in the Chelsea neighborhood. After enviously listening to Erin Red recount her delightful experiences at last year’s festival on a past episode of her podcast, I rushed online to discover the dates of the 2013 event and vowed to attend. Luckily, my parents decided to rent an apartment in NYC from mid-February until the end of April, providing me with a convenient home base in the city and practically begging me to take advantage of all the vegan goodies and happenings NYC has to offer; frankly, the universe would have admonished me had I not patronized the veg fest this year. Numerous reliable vegan sources stressed the value of purchasing a VIP ticket for the festival in order to avoid the up-to-four-hour-long line for entry into the venue. Indeed, my decision to heed their advice and shell out the most well-spent $30 of my life on a Sunday VIP ticket proved quite prudent—I bounded through the building’s glass doors, displayed my ticket to a smiling woman who awarded me with a specially market wristband, and threw myself into the torrent of enthused veg*n/veg-curious attendees, eager vendors, tantalizing noms, and cruelty-free fashions, eliciting a couple resentful glares, I’m sure, from those still standing outside in line. Arriving at the festival around my lunchtime, I first paid a visit to the renowned vegan food truck The Cinnamon Snail, whose selection of baked goods rivals any of a traditional brick-and-mortar bakery (can you say lavender-pear turnovers, passionfruit-glazed donuts, and strawberry cheese danishes?). Unfortunately, none of these mouthwatering creations bore a gluten-free (or sugar-free, for that matter) label, but I certainly contented myself by ordering a Raw Goji Berry Bar to accompany my Fiery Southeast Asian Salad of kale, homemade kimchi, sliced fresh jalapenos, curried peanuts, and chili oil. Both vittles satisfied my tastebuds immensely—the goji bar harbored a mysterious coconutty-cashew flavor while the salad excited the palate with its fresh spiciness (though it did feature a tad too much chili oil for my liking). The Cinnamon’s Snail baked goods case. After enjoying a lovely lunch, I began making my rounds about the festival. Immediately upon entering, I spotted the ice cream counter of DF Mavens—a coconut-based frozen treat free of gluten, soy, and (in the case of some flavors) sugar about which I had heard at the recent Ivy League Vegan Conference. The company has not yet launched their products into stores, but to give you a sneak peek, some of their tantalizing flavors include Sicilian Hazelnut Truffle, New Orleans Salted Praline, Alphonso Mango, and Peanut Butter Fudge Mash. Wowza. Free samples of DF Mavens. Oodles of jewelry-makers and clothing-crafters showcased their wares, including the well-known vegan t-shirt company Compassion Co., a woman who creates gorgeously unique bracelets out of dehydrated fruits and vegetables at Wired Up Creations, the rebellious Portland-based outfitter of Herbivore Clothing Company (positively thrilled to meet her, I basically fawned over owner Michelle Schwegmann, who has gained plenty of fame in my book thanks to Our Hen House), and an independent jeweler with no company name of which to speak but who provided lovely graphic pendants. An independent screen-printer stood next to the DF Mavens booth and enthusiastically demonstrated the screen-printing process at my confession that I’ve long yearned to learn how to screen-print. One of Compassion Co.’s t-shirts emblazoned with, “Anything you can eat, I can eat vegan.” Love it. “Animal Liberation” pendant from an independent jeweler. Stickers from Herbivore Clothing Company. Original screen-print t-shirt design from the friendly independent screen-printing guy. “Raw Slaw” fermented veggies from Bao Fermented Food and Drink–they also sell home-brewed kombucha, sauces, and superfood shots. I picked up a jar of Bao’s Greens Raw Slaw, packed with kale, collard greens, dandelion greens, radish greens, apples, pears, ginger, and garlic. Vegan & gluten-free empanadas from Brooklyn’s acclaimed V-Spot. Fryin’ up some Field Roast sausages. Pastel-hued cookies from Pipernilli Bakery. Cashew-and-coconut-based ice cream from the Raw Ice Cream Company (chocolate hazelnut, anyone?). Monkey Boy peanut butter with banana extract and raisins from the Saratoga Peanut Butter Company. Gorgeously frosted cupcakes from Pink Frosting Bakery. Rehydrated dried fruit from Fruit Bliss–apparently, re-moistening dried fruit is all-the-rage in Europe! Delectable and creamy Faux Gras, Basilcotta, and Superfood Pesto from the Regal Vegan. Spicy Mang roll from Beyond Sushi (for dinner later that night) with avocado, mango, cucumber, and black rice topped with spicy pickled veggies and toasted cayenne sauce. Three Fennel tea from Pukka Herbs. The woman behind the stand generously gave me three free tea bags of this blend, in which I have reveled for the past two days due to my ardent love of fennel. Vegan scallops (yes, you read right) from Sophie’s Kitchen, made from Elephant Yam Root, aka Konjac. Fascinating! Certainly my favorite aspect of the entire festival comprised of schmoozing with prominent vegan activists, bloggers, and authors whom I’ve long admired. Though I didn’t snap any photos with them, I also met the bloggers (Sharon and Dianne, respectively) behind Big City Vegan and VeggieGirl, two quite successful blogs in whose footsteps I hope to follow. I’ve become quite a fan of Erin Red’s podcast, Red Radio, and her special brand of no-nonsense activism. Honored to extend our relationship from Twitter to the real world! Farm Sanctuary founder Gene Baur delivered an inspiring speech that touched upon effective animal advocacy among many other topics. His assertion that “being right is not the same as being effective” struck me as particularly important. Ximena and Derek from my all-time favorite yoga studio, Jivamukti, described the intrinsic connections between yogic philosophy and veganism. Matt Frazier of the acclaimed No Meat Athlete blog showcased his merchandise and gave a talk on Saturday of the festival. I still cannot fathom how I managed to meet the legendary vegan author and lifestyle coach Victoria Moran. Though I didn’t manage to snag a photo of Miyoko Schinner, author of Artisan Vegan Cheese, I did sample some of her very own gourmet nut cheeses after her talk. Of course, standby animal rights organizations like PETA, Mercy for Animals, Compassion Over Killing, and Sea Shepherd also made appearances at the festival, along with eastern farm animal sanctuaries like Woodstock and Catskill. I had the pleasure of meeting two immensely friendly COK volunteers who welcomed me with open arms when I informed them of my summer internship with the organization—further proof that the animal rights movement attracts the most generous, all-around wonderful human beings. 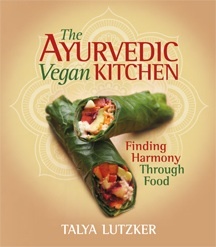 To round out my festival experience, I indulged myself in adding yet another vegan cookbook to my collection: the Ayurvedic Vegan Kitchen by Talya Lutzker. I haven’t yet had a chance to thoroughly examine the book’s recipes, but cannot wait to learn of the doshas and how to eat in order to best balance inner energy—like yoga and eating all rolled into one! From my quick flip through the book (which has sat on my Amazon Wishlist for quite some time now), all of the recipes feature only wholesome, unprocessed ingredients and include a host of raw, sugar-free desserts. My Ferry housemates will surely taste at least a couple of goodies inspired by this book! After spending over three hours chatting, sampling, and handing out homemade Farmers Market Vegan business cards, I had thoroughly exhausted myself and decided to trek back uptown to my parents’ apartment before catching my train home to Vassar. Witnessing such a successful outpouring of vegans and omnivores alike (2,000 people attended the festival on Saturday alone) fostered within me such hope for a shifting mainstream consciousness toward a more compassionate, deliberate, conscious, and healthful lifestyle. The innovative products featured at the festival also aided in proving that leading a vegan lifestyle by no means entails sacrificing the joy of delicious food, chic fashion, and effective skin care. I fully intend to attend many more events similar to this one, with the third annual Veggie Pride Parade on Sunday, March 24th as the most upcoming one. Stay tuned for a post detailing my meals at Candle Cafe West and Blossom on the Saturday before the festival (yes, I’m posting out of chronological order, but I wanted to recap the festival before recounting my fabulous meals). Continuing my series of posts highlighting my favorite cruelty-free hygiene products (my first post featured my vegan facial care regimen), I’d like to now recommend the products that keep my entire body fresh, fragrant, and moisturized. You can find all of these brands at any Whole Foods or natural foods co-op. For more animal-friendly cosmetic companies, check out Leaping Bunny and PETA. Kiss My Face Lavender & Lily Silky Soft Shower and Bath Gel—$10.95 for 16 oz. Reward yourself with some in-home aromatherapy by lathering up a loofah with this calming blend of lavender, chamomile, jasmine, and passionfruit in the form of a skin-softening shower gel. Check out Kiss My Face’s wide array of gels, each sporting a unique blend of scents to match your any mood, such as wild mint and citrus to exhilirate, woodland pine and ginseng to de-stress, or cardamom and mint to refresh. Kiss My Face Olive & Aloe Moisturizer—$4.99 for 4 oz. Constantly present in my backpack, this mini-tube of on-the-go skincare companionship guarantees prolonged relief from the woes of dry skin with every squeeze—not to mention that even though this lotion claims to smell like olive and aloe, I can vouch for its distinctly comforting sugar cookie-like aroma. Nature’s Gate Hemp Moisturizing Lotion for Dry and Dehydrated Skin—$11.69 for 18 oz. Not only a nutritional powerhouse, EFA-rich hemp seed oil also nourishes the skin, replenishing those dry, dehydrated patches (can you say scaly elbows?). Gentle enough for facial use, as well, this mildly scented lotion moisturizes my hands, feet, and legs every night before bedtime. Kiss My Face Active Life Deodorant Stick in Lavender—$5.99 for 2.48 oz. Notorious for odor-blocking failure, which leads to numerous embarrassing social encounters, all-natural vegan deodorants have long earned a terrible reputation. However, this lavender-scented (can you tell I like me some lavender bodycare products? ), transparent deodorant stick from Kiss My Face has never failed me in providing effective protection against awkward stench-inducing moments, including during workouts—plus, I’ve never once experienced those annoying white marks on my clothing from using this product. 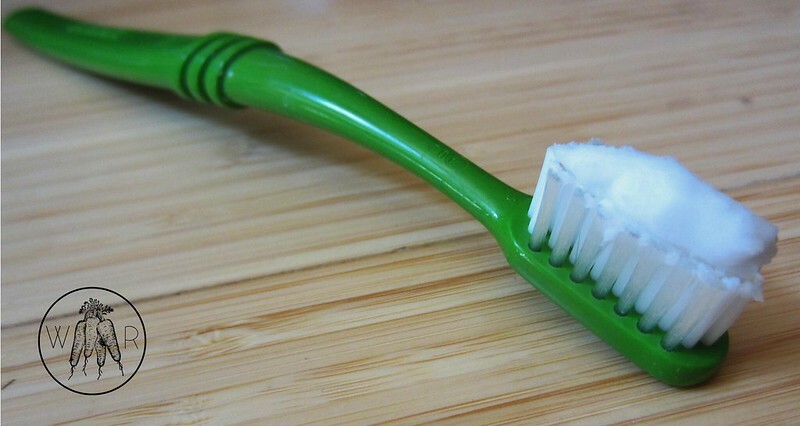 My next post in the cruelty-free body/skincare series will expound upon my preferred oral hygiene products, including fluoride-free toothpaste, a recyclable toothbrush, and a deliciously flavored lip balm. In honor of my dormmate who recently adopted a vegan lifestyle and has since dutifully inquired about how she can eliminate animal suffering from all aspects of her life, I’d like to share the cruetly-free hygiene products that I employ in maintaining a squeaky clean, animal-friendly face and body. While this post focuses solely on my facial care regimen, I plan on also detailing my preferred brands of makeup and oral hygiene products, as well as my shampoo-and-conditioner-less hairwashing methods, in the very near future. I tailor my skin care habits to suit an acne-prone face that requires fairly close attention to moisturizing. 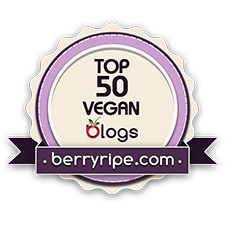 However, even if that description does not even remotely resemble your own complexionary needs, I’d encourage you to further research the vegan-friendly companies that I highlight here, along with those listed on the Leaping Bunny and Peta websites. You can find all of these products, except for the Aveda cleanser, at any Whole Foods or natural foods co-op. Aveda Outer Peace Foaming Cleanser—$27 for 4.2 fl oz. Specially formulated to treat the woes of acne, this light, freshly scented cleanser dissolves oil, removes makeup, and cleans deep into pores without overdrying skin. Like most all of Aveda’s products, this cleanser utilizes powerful plant ingredients for a chemical-free, gentle yet effective face-washing experience. After splashing water on my face, I rub two pumps of cleanser in a circular motion around my face every morning for a refreshing start to my day. Alba Botanica Natural Even Advanced Sea Algae Enzyme Scrub—$11.49 for 4 oz. At night, I like to exfoliate with this walnut-shell based scrub infused with sea enzymes to stimulate cell regeneration for a uniform skin tone. The size and roughness of the exfoliating particles in this scrub fit my preferences perfectly—not so small or smooth as to have no effect, but certainly not too harsh. Homemade Apple Cider Vinegar-White Tea Toner and Acne Scar Remover—free!…basically. Aubrey Organics Sea Buckthorn & Cucumber with Ester-C Facial Cleansing Cream—$8.48 for 4 oz. …this mild, moisurizing facial cleansing cream! Ideal for combination skin, this cream implements the gentle oils of antioxidant-rich sea buckthorn, cucumber, aloe, and primrose to soften, smooth, and restore moisture balance in the skin. Plus, its naturally shiny golden hue imparts the notion of rubbing sunshine on your face. How can you resist? Stay tuned for my next post on vegan, cruelty-free body care products. Continuing my use of Quickie Posts to ease the potential strain of blogging every single day throughout the month of October, I’d like to offer you a homemade, environmentally and animal-friendly, 100% chemical-free facial toner and acne scar remover. I have rubbed this two-ingredient mixture on my face every single day since the end of July and have seen a vast improvement in the clarity of my skin since. Those in the holistic health realm constantly tout the infinite benefits of consuming apple cider vinegar, such as improved digestion, regulated blood pressure, and removed toxins from the body. While no scientific research verifies these claims, no one can disprove the fact that apple cider vinegar contains alpha-hydroxy acids that attack bacteria and help dry out blemishes, rendering it quite effective in the healing of acne scars. Combined with ridiculously antioxidant-rich white tea to aid in the removal of free radicals from the skin, apple cider vinegar forms a powerful, completely natural facial toner that frees you of the unpronouncable ingredient syndrome to which we so often fall victim in purchasing conventional beauty products, all while restoring your skin’s pH balance, removing impurities, and clearing pores. Brew 1 cup of white tea, steeping for 2-4 minutes. Combine the white tea with the apple cider vinegar in a mason jar or other sealable container and store it in the refrigerator until cool and between later uses. To apply, dip a tissue or cotton ball into the mixture and rub it all over your face, focusing on acne flareups and scars. Rinse off after 30 minutes. I follow the toner with a facial lotion formulated for dry skin, but everyone’s beauty regimen needs differ! Submitted to Waste Not Want Not Wednesdays. Comment Provoking Questions: What are your favorite natural, homemade beauty treatments? Do you often use apple cider vinegar other than in cooking?